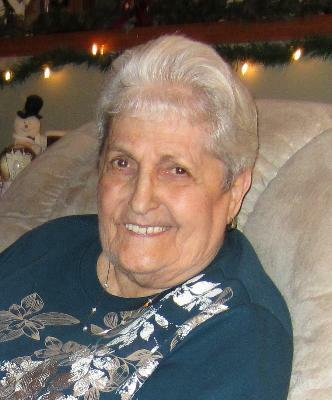 MOOERS - Rena C. St. Sauveur, 79, of Mooers, NY, passed away on Wednesday, January 20, 2016 at the Essex Center in Elizabethtown, NY. She was born in St. Jean Baptiste Vianney, Quebec on May 18, 1936, the daughter of the late Joseph Alcide & Marie Louise (Dubois) Lemieux. Rena married the love of her life Roland A. St. Sauveur, Sr. on September 3, 1955 at St. Mary's Church in Claremont, NH. Together they raised six children. Rena attended Steven's High School in Claremont, NH. After raising her family, she was employed as a seamstress and worked at Trebor's in Keeseville, NY and Commonwealth Home Fashions in Champlain, NY. She also had a home business known as Rena's Fashion & Repair. After retiring, she continued to enjoy sewing, canning, and gardening. She loved every chance to travel to Vermont and New Hampshire to spend time with her family. She was a loving wife, mother and grandmother and will be greatly missed. Rena is survived by her loving and devoted husband Roland A. St. Sauveur, Sr.; her children: Roland (Carla) St. Sauveur, Jr. of Claremont, NH; Raymond (Linda) St. Sauveur of Charlestown, NH; Cindy Bissette-Peabody of Charlestown, NH; Terry (Tracy) St. Sauveur of Charlestown, NH; Michael (Matina) St. Sauveur of Springfield, VT; and Jolene (Daniel) Monette of Mooers Forks, NY; several grandchildren: Benjamin (Jennifer) St. Sauveur; Nina (Jeremy) Honeycutt; Julie (Ryan) Sell; Vicky (Shawn) White; Marc Bissette; Shane St. Sauveur; Seth Robinson; Kristopher St. Sauveur; Christina St. Sauveur; Ashley Monette; and Morgan Monette; and 9 great-grandchildren. She is also survived by her siblings: Andre (Gaetane) Lemieux; Giselle St. Sauveur; Raymond (Barbara) Lemieux; Gilles (Joanne) Lemieux; Claire (Hibbard) Doe; and Carmen Bromley. Along with her parents, she was predeceased by her sister Yolande St. Peter, and several sisters-in-law and brothers-in-law. The family wishes to thank the staff at the Essex Center and H.K. Freedman Renal Center for their outstanding care of Rena. It is truly appreciated. A memorial service and Mass will be held at St. Mary's Church, 32 Pearl Street, Claremont, NH, on Saturday, February 13, 2016 at 10:00 a.m. A celebration of life with luncheon will follow at the Earl M. Bourdon Centre, 67 Maple Avenue, Claremont, NH. A Mass of Christian burial will be held in the spring at St. Joseph's Church, 83 Maple Street, Mooers, NY. Interment will follow at St. Joseph's Cemetery, Mooers, NY. In lieu of flowers, memorial donations may be made to St. Joseph's Church, 83 Maple Street, Mooers, NY. To share online condolences, please visit www.rossfuneralhomes.com.